On Sunday 19/6/1440 H PSAU received a team of advisers of the National Center for Academic Accreditation and Assessment. The activities of the verification visit began with the meeting of Dr. Rafidah Khashoggi and Dr. Hamoud Al-Harbi with Prof. Abdulaziz Al Hamid, Rector of PSAU. 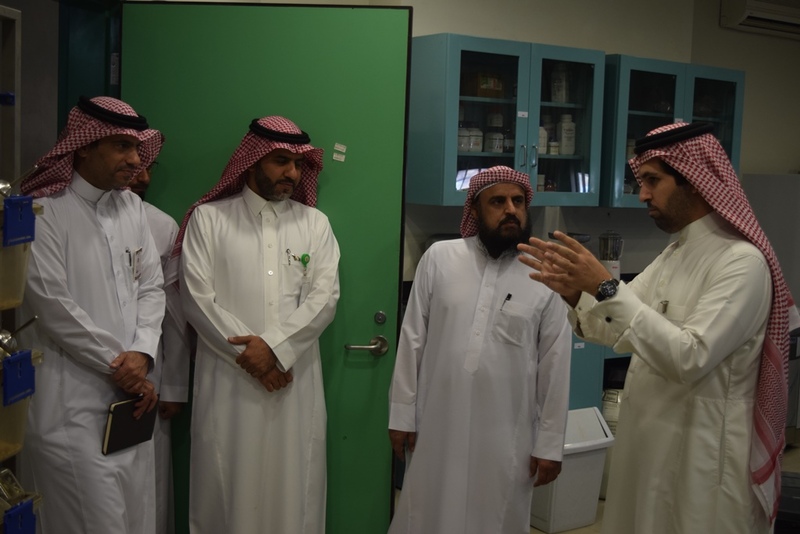 Then, The team met with Dr. Abdul Rahman Al Khudairi, Vice-Rectro for Graduate Studies and Scientific Research, Dr. Abdullah Al-Saqr, Vice-Rector of Branches, Dr. Abdullah Al-Jumaa, Vice-Rector, Dr. Nasser Al-Qahtani, Vice-Rector for Development and Quality, Dean of Development and Quality and Dr. Hassan Al-Tharawi, Vice-Dean of Development and Quality. The consultants discussed the most important observations in the self-study. After that, a meeting was held with representatives of the teams preparing the study to determine the mechanism of work within the teams and make sure the readiness of the documentation room and meetings of the team of external auditors. The consultants then visited various faculties of the university and made sure that the classrooms, laboratories and scientific laboratories were ready. The team's visit ended with a closed meeting with HE Dr. Nasser Al Qahtani, Vice-Dean for Development and Quality in the presence of the staff of the Deanship of Development and Quality. 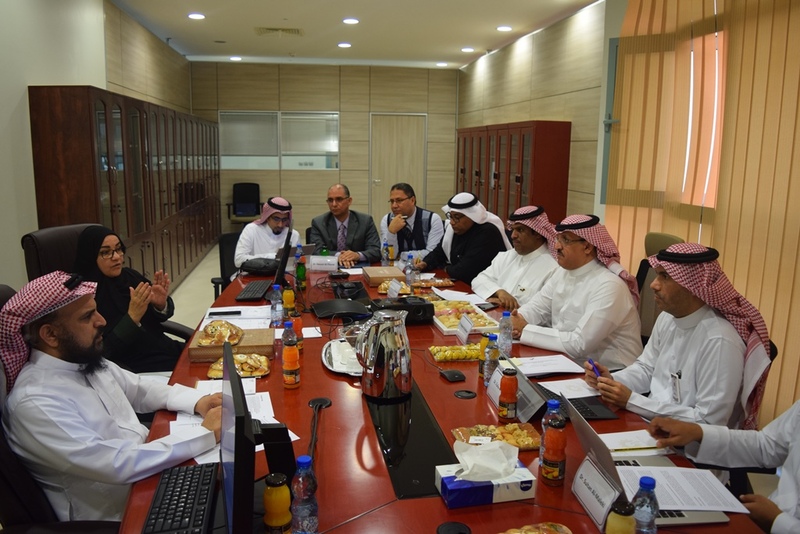 The Center's advisors praised the efforts exerted to prepare for the visit of the external auditors and wished the university academic accreditation in the near future.